obligations of membership in RI. 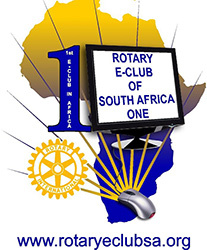 Rotary E-clubs are Rotary clubs that meet electronically. A 2010 Council on Legislation enactment recognized Rotary E-clubs as part of Rotary International, following a six-year pilot project. As of 1 July 2010, RI has 14 Eclubs, all of them chartered during the pilot. As of 1 July 2011 there were 35 Eclubs Worldwide and as at 1st March 2012 there were 58. By the 30th June 2013 there were 111 e-clubs. There are now 3 e-clubs in Africa. E-club meetings are hosted on a unique website. The official meeting time is considered to be when the webmaster or club secretary posts the weekly TOPIC for discussion, but members may access the site at their convenience at any point during the week. E-Club members discuss the item and any other club business through the members dedicated Members Clubhouse feature on the website or by other means, such as email and the tried and tested telephone method. To respect the privacy of E-club members and member data, the Members Clubhouse is protected from public view. Although all Rotary E-clubs meet weekly and conduct business online, some E-clubs do meet in person [known as face-to-face] at various times throughout the year at service projects, quarterly or semi-annual dinners, or the RI Convention. Such meetings can enhance fellowship among E-club members; however, they’re strictly optional. of August 2010, 360 Rotarians located in 30 countries were E-club members. Of these, 146 had previously been members of Rotary clubs, including four past district governors. Membership in an E-club requires a basic Internet skills set, including the ability to navigate websites with ease. Members should also have a working knowledge of the principles of protecting privacy online, so that no club member compromises another’s sensitive personal information. In addition, it is critical that at least one of the founding members of the club be highly proficient in the design and maintenance of the club’s website. The member should be experienced in building a website that meets all of the technological requirements listed below. Rotary E-clubs are considered by the RI Board to be worldwide. While each Eclub is assigned to a district, members can come from any country or geographical area where Rotary maintains a presence. For more on policies regarding E-clubs, refer to the Rotary Code of Policies and the Report of Action of the 2010 Council on Legislation. E-clubs are responsible for all costs associated with maintaining a URL and hosting their website on the Internet. How do I join an existing E-club? As with all Rotary clubs, membership is by invitation Contact one of the E-club members listed under item 2 or write on our Facebook page wall located on our website or simply complete the Membership Proposal form. If you have any enquiry/questions regarding the Rotary family please contact either our Club President, Gerald Sieberhagen or our Secretary, Irene Kotze on the contact page here. Subscriptions vary from Club to Club and the current Rotary E-club of South Africa One Half-yearly dues are included in the Proposal Form. Rotary club members are part of a diverse group of professional and community leaders working to address various communities and international service needs. Through community service and other means, Rotary club members help promote peace and understanding throughout the world. Our members are our most important asset. 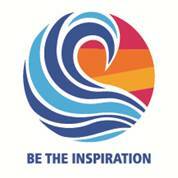 They are the force that allows Rotary to carry out its many humanitarian efforts and achieve its mission. Rotary is a worldwide network of inspired individuals who translate their passions into relevant social causes to change lives in communities. Rotary encourages high ethical standards in all vocations and helps build goodwill and peace in the world. Approximately 1.2 million Rotarians belong to more than 33,000 Rotary clubs located in 200 countries and geographical regions. The world’s Rotary clubs meet weekly and are non-political, non-religious, and open to all cultures, races, and creeds. An endowment fund, set up by Rotarians in 1917 “for doing good in the world,” became a not-for-profit corporation known as The Rotary Foundation in 1928. Upon the death of Paul Harris in 1947, an outpouring of Rotarian donations made in his honour, totalling US$2 million, launched the Foundation’s first program — graduate fellowships, now called Ambassadorial Scholarships. Today, contributions to The Rotary Foundation total more than US$80 million annually and support a wide range of humanitarian grants and educational programmes that enable Rotarians to bring hope and promote international understanding throughout the world. In 1985, Rotary made a historic commitment to immunize all of the world’s children against polio. Working in partnership with nongovernmental organizations and national governments thorough its Polio Plus program, Rotary is the largest private-sector contributor to the global polio eradication campaign. Rotarians have mobilized hundreds of thousands of Polio Plus volunteers and have immunized more than one million children worldwide. After 20 years of hard work, Rotary and its partners are on the brink of eradicating this tenacious disease, but a strong push is needed now to root it out once and for all. It is a window of opportunity of historic proportions. Rotary is currently working on a programme, END POLIO NOW, to raise US$200 million [US$182 raised so far] to match US$355 million in challenge grants received from the Bill & Melinda Gates Foundation. The resulting US$555 million will directly support immunization campaigns in developing countries, where polio continues to infect and paralyze children, robbing them of their futures and compounding the hardships faced by their families. As long as polio threatens even one child anywhere in the world, children everywhere remain at risk. The stakes are that high. Rotary also later embraced a code of ethics. One of the most widely printed and quoted statements of business ethics in the world is the Rotary Four-Way Test. It was created by Rotarian Herbert J. Taylor in 1932 when he was asked to take charge of a company that was facing bankruptcy. Taylor looked for a way to save the struggling company mired in depression-caused financial difficulties. He drew up a 24-word code of ethics for all employees to follow in their business and professional lives. The Four-Way Test became the guide for sales, production, advertising and all relations with dealers and customers, and the survival of the company is credited to this simple philosophy. The Four-Way Test was adopted by Rotary in 1943 and has been translated into more than a hundred languages and published in thousands of ways. Herb Taylor became president of Rotary International in 1954-55. Club Service, the first Avenue of Service, involves action a member should take within the club to help it function successfully. Vocational Service, the second Avenue of Service, promotes high ethical standards in businesses and professions, recognizes the worthiness of all dignified occupations, and fosters the ideal of service in the pursuit of all vocations. The role of members includes conducting themselves and their businesses in accordance with Rotary’s principles. Community Service, the third Avenue of Service, comprises varied efforts that members make, sometimes in conjunction with others, to improve the quality of life of those who live within the club’s locality or municipality. Rotary is organized at club, district, and international levels to carry out its programme of service. Rotarians are members of their clubs, and the clubs are members of the global association known as Rotary International. Each club elects its own officers and enjoys considerable autonomy in accordance with the RI Constitution and Bylaws. Clubs are grouped into more than 500 Rotary districts, each led by a district governor who is an officer of Rotary International and represents the RI board of directors in the field. Though selected by the clubs of the district, a governor is elected by all of the clubs worldwide meeting at the RI Convention. A 19-member board of directors, which includes the international president and president-elect, administers Rotary International. These officers are also elected at the convention; the selection process for choosing directors and the nominating committee for president is based on zones, each of which comprises approximately 15 districts. The board meets quarterly to establish policies.